Who Invented The First Submarine? History Of First Submarine - Biography of Cornelis Drebbel Jacobszoon. Cornelis Drebbel Jacobszoon (1572 - 7 November 1633) was the first Dutch scientist to navigate the submarine in 1620. Drebbel is an innovator who contributes to the development of measurements and control systems, optics and chemistry. A small lunar crater has been named after him. He is the inventor of the first submarine that embodies the design of leonardo da vinci . Cornelis Drebbel Jacobszoon had several years of schooling in Alkmaar, then around 1590, he went to school in Haarlem, which is also located in the North of the Netherlands. Teachers in the Academy are Hendrick Goltzius (sculptor, painter and humanist), Karel van Mander (painter, author, humanist) and Cornelis Corneliszoon from Haarlem. Drebbel becomes a skilled sculptor. In 1595 he married Sophia Jansdochter Goltzius, Hendrick's sister. They have 4 children. In 1600, Drebbel was in Middelburg where he built a fountain in Noorderpoort. At Noorderpoort Cornelius met with Hans Lippershey who is a telescope constructor and associate of Zacharias Jansen. Drebbel studied grinding lens and optics. Around the year 1604 the Drebbel family then moved to England, possibly at the invitation of the new king, James I of England (VI from Scotland). Drebbel also works in court. In 1610 Drebbel and family were invited to come to the court of Emperor Rudolf II in Prague. 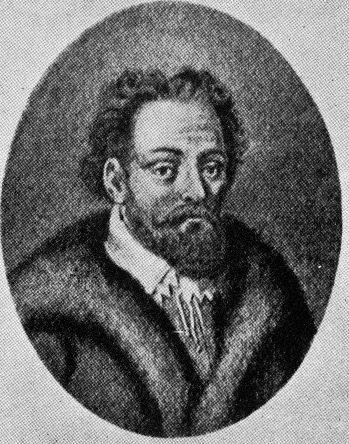 After Rudolf's death in 1612, Drebbel returned to London. Unfortunately his protector Prince Henry died and Drebbel financial difficulties. Initially, the submarine sketchmaker was Leonardo da Vinci (1452-1519) , while William Bourne designed the shipbuilding plan (1578). But the one who built it was Cornelius van Drebbel in 1620. At first, he only saw the sketches made by his two friends. Then, slowly van Drebbel tried to realize the sketch that he thought was unique. The standard of construction still uses the Bourne sketch. That is, using the principle that the ship can sink when the tank is filled with water. When the vessel will be raised to the surface, the water tank is emptied first. Then, van Drebbel tried to apply the law of Archimedesusing a paddle as a mover. Not quite up there, van Drebbel continues to upgrade his homemade submarine. Especially in terms of design by shaping it like the arrangement of two boats and closed skin. The landing holes are made more adhesive so as not to enter the water. Van Drebble does not use a reply system, but tries with iron to make the boat easier to dive. The submarine became the oldest submarine. Therefore, his body is still made of animal skin and wooden frame. 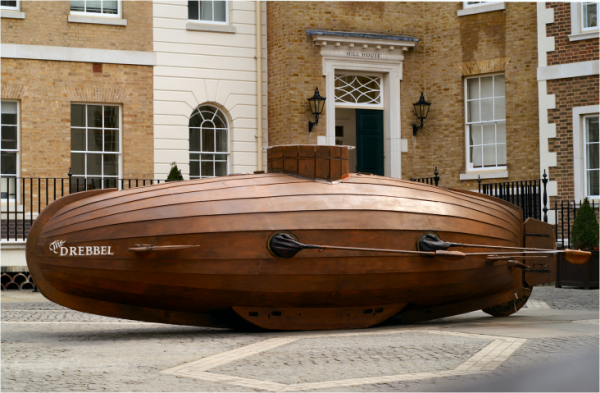 Van Drebbel also wraps wooden shipboard with waterproof material and boat rowing with leather. The addition of an air tube van Drebbel to provide oxygen. His first trip was made with 12 rowers on the Thames River. In the test, the ship managed to dive as deep as 360-450 cm below the River Thames, London, for 2-3 hours. The last model made by van Drebbel has six oars and can accommodate 16 passengers. The ship can dive for three hours and sail up to 12-15 feet (4-5-meters) below the surface of the water. The track starts at Westminster on the way back to Greenwich. Submarines that look like cigar forms are made hydrodynamic. According to van Drebbel, hydrodynamics can reduce obstacles when drowning. That way, the ship can sink seamlessly. The submarine has a speed of about 18 km / h. Now van Drebbel's invention submarine is being developed for military purposes. Especially as a submarine war. It is actually far from what Drebbel wanted when first making a submarine. He did not want his homemade submarine to be a killer. Optics - In 1619 Drebbel designed and built telescopes and microscopes and was involved in a building project for the Duke of Buckingham. William Boreel, Dutch Ambassador to England, mentions a microscope developed by Drebbel. Toward the end of his life, in 1633, Drebbel was involved in a plan to stream Fens around Cambridge, while living near-poverty running ale homes in England. He died in London. 0 Response to "Who Invented The First Submarine? History Of First Submarine - Biography of Cornelis Drebbel Jacobszoon"